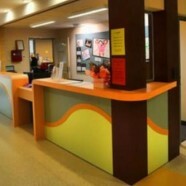 Springvale Service for Children | Healthy development learning and wellbeing of children and families. Welcome to the Springvale Service for Children (SSC). Our main purpose is to provide young children and their families with experiences of high quality which promote their healthy development, learning and well being. We do this by working in mutually respectful partnerships with families, children and the community.